Raging Fyah T-Shirts fi di Kings & Queens dem. Soon & very soon. 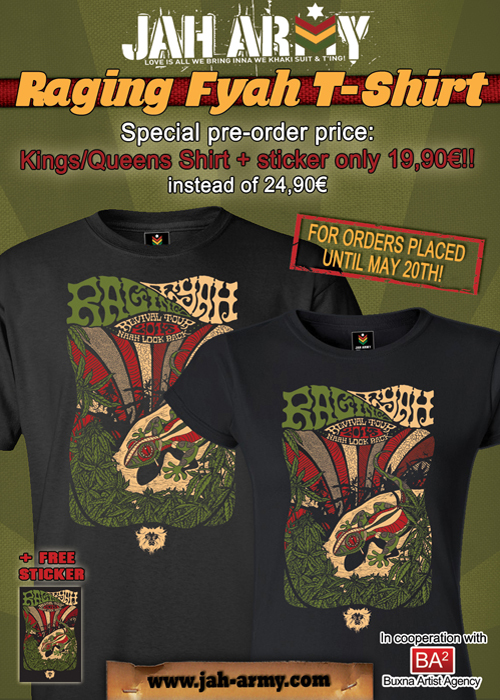 Special pre-order price until may 20th still. Nuh miss out. Only 100 pieces outtanational. Nuh jester!